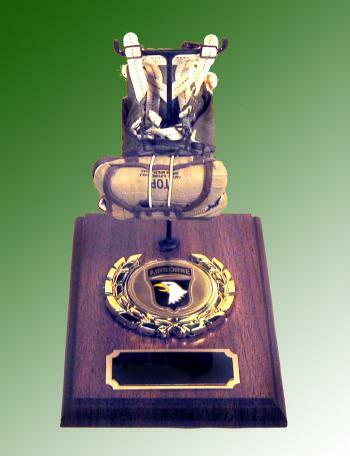 101st Airborne parachute on wood base [MPC-023] - $69.95 : Metalcraft by Blair - military gifts and memoribilia. Most minature parachutes average 5" x 3" in size --All parachutes can be supplied with or with out Mae West. If not shown you must specify it. ---Base is wood and measures 7" x 5"